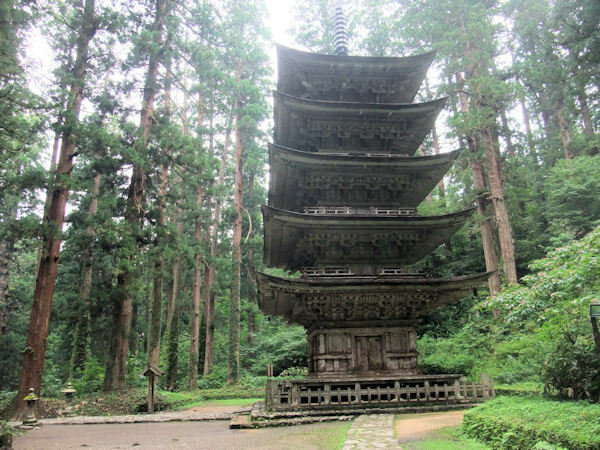 I went to Shonai-machi in Yamagata Prefecture because there was a class of "Gold Digging Experience". We gathered at the lodge "Kita- Gassan" near Dewa-Three Mountains. 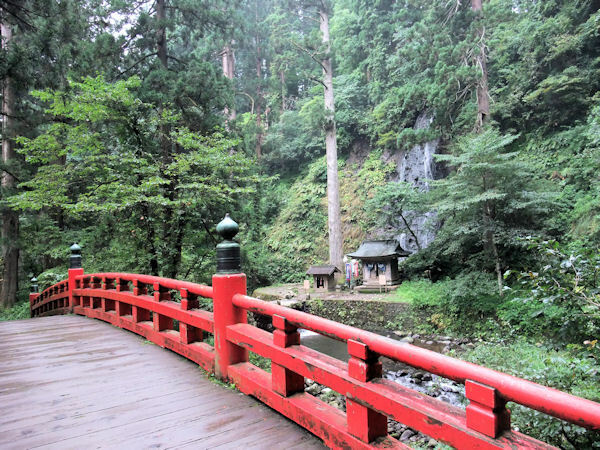 The three mountains are subjects of mountain faith, and there are many shrines and temples in the surrounding area, and many Yamabushi are still practicing in mountain. 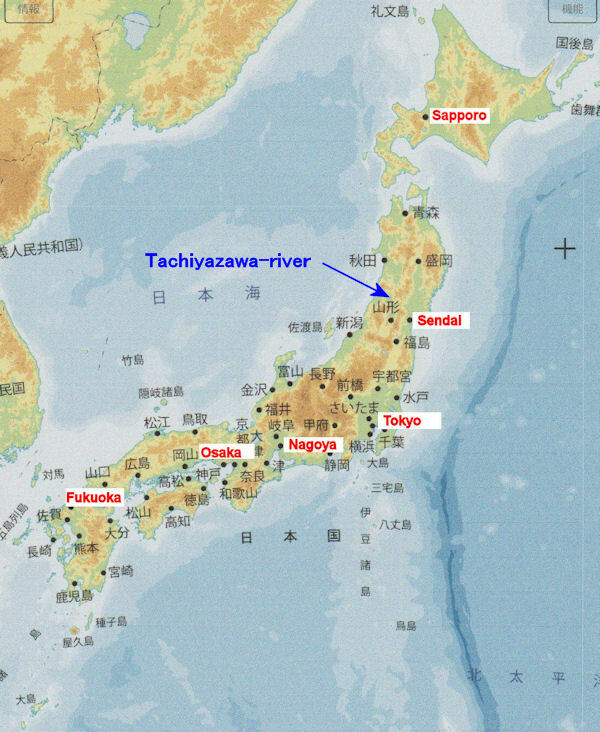 In this area, development of placer gold and gold mine has been done for a long time. 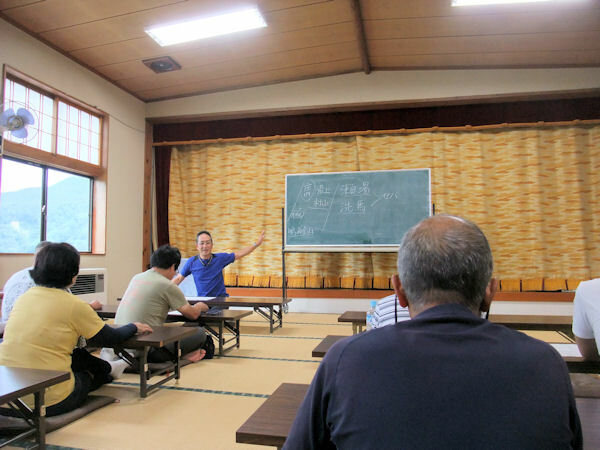 This class is held annually, and the instructor who is a master of “Yuri-ita” taught us the history and technology of gold digging in this area. 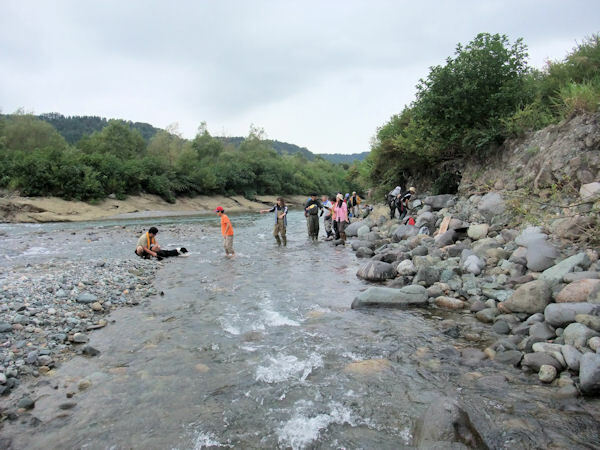 After the lecture, we practiced gold panning in the pool and dug placer gold in the nearby river. Each one got a small amount of gold and was able to spend a meaningful day. 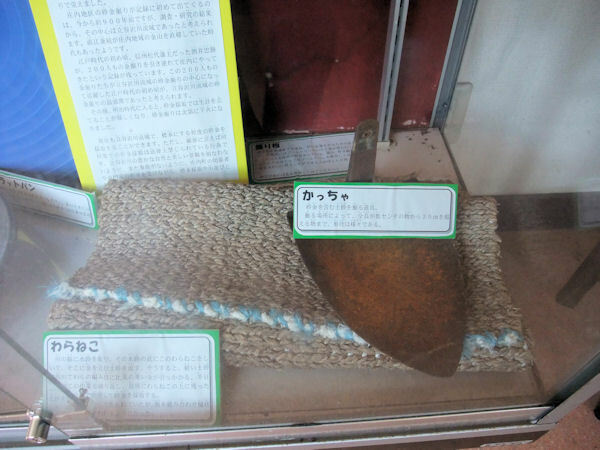 Sluice mat knitted with plant fiber and Japanese shovel "Katcha"